“Maya The Bee” was actually first released as a book for children all the way back in 1912. The book’s original writer was a German man by the name of Waldemar Bonsels who I guarantee would have never imagined his creation would come so far. 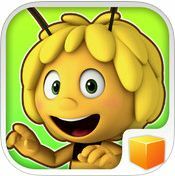 “Maya The Bee” has been almost every single form of media throughout its run; comic books, a tv series, a film, even an opera written for children and now, in this day and age, a series of video games. 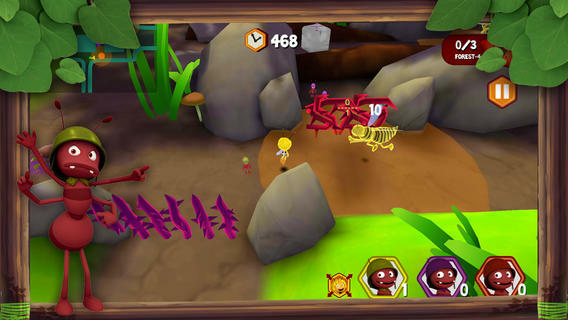 The first “Maya The Bee” video game was released for the Gameboy Colour back in 1999 and the latest one to be released is the one this review is about; “Maya The Bee: The Ant’s Quest”. 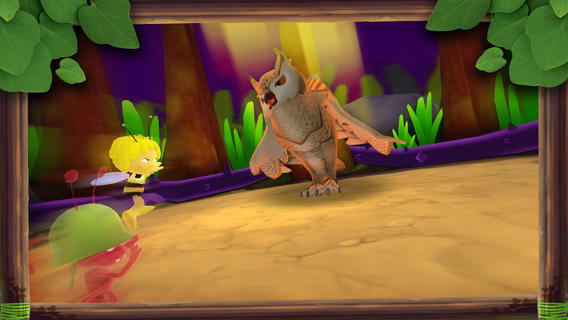 The original “Maya The Bee” book had a storytelling style quite different to that of this game, not that it is a bad thing though, it’s simply just interesting. The book dealt with many real-life issues like nationalism, racism and the long for individualism and freedom in a “hive-mind” society. “Maya The Bee: The Ant’s Quest” jumped to the other side of the storytelling spectrum, instead of having the game focus on more hard-hitting subjects and themes it decided to shoot more towards a younger audience with the story simply being; “The ant Queen is sick and she needs some medicine that’s made up of different fruits, since the ants don’t know what to do without their queen it is up to Maya to jump in and save the day”. Once again; it isn’t bad that the stories are so drastically different, the first book was published over 100 years ago and so much has happened in between. Clearly some changes were made. Personally, for an mobile title like this, the small bit of story it gives you is all you really need. It doesn’t often come up and there’s no real story “progress” so really you aren’t missing much by totally ignoring the short opening sequence. 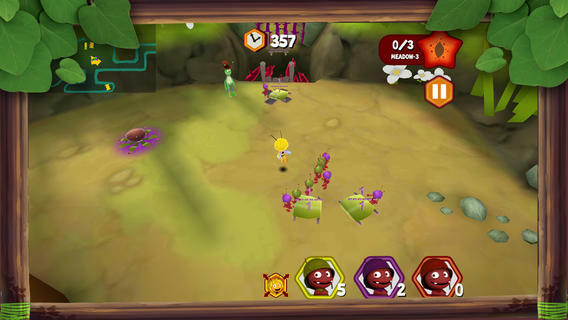 “Maya The Bee” plays similar to Nintendo’s “Pikmin” series. It was clearly inspired seeing as the developers themselves have related their game to that of “Pikmin”. 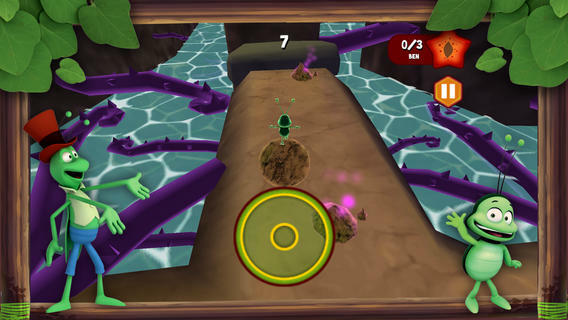 You play as Maya who flies around environments recruiting different types of ants, each of which do different things; the soldier ants fight enemy wasps, the worker ants break down obstacles and the transporter ants carry things like boulders and the fruits you need to bring back to the ant hill. You’re tasked with going through different levels, solving puzzles, finding secret treasures and beating the clock but since your average time to finish a level is somewhere near 500 seconds, you can pretty much always take your time. There are bosses to fight throughout the game and I actually enjoyed going up against them because the way you combat them is quite old-school and very clever. For example: The very first boss is a huge wasp that dashes at you, breaking down rubble and carrying boulders into the middle of the arena works to stun the wasp when he runs into it. Once he’s knocked out you just sick your soldier ants on him and, hey presto, the guy is done for! I did enjoy this game but I also found it to get boring after a while. A sense of monotony did loom over me while playing but going at the game in short bursts is the way I feel it is to be played but puzzle-freaks will probably go at this title with everything they’ve got and I guarantee they’ll love it. It’s a mix between a puzzle game and an adventure game so tread lightly unless this type of game is your “thing”. Simply: The game looks great. Yes, there are a few key visuals that are a little bit “lackluster”, for lack of a better word, but it’s overall visuals really make up for what solitary visuals lack. The only thing I took a major dislike to was how Maya herself wasn’t entirely animated well. Her character model had a great deal of edges when when the developers really should have put the time and effort into smoothing her out as much as possible. The only reason this was a big deal for me is because most of her idol animations make her out to look quite angry only because her cute, round eyes weren’t as smooth as they should be and caused her to seem as though she was furrowing her brow. For the most part though the game was well-polished and Maya herself is one of the most adorable characters I’ve seen as of late, I can honestly see child fans falling for her cutesy charm hook, line and sinker. The game has nice, vivid colours and I was very impressed by it all. Something I found odd was that the game didn’t seem entirely optimised for iPad use, while playing on my iPad the certain images looked stretched and weren’t as crisp as what it would look like on the iPhone or iPod Touch. While I can’t exactly take away big points for that, it would have been nice to be able to see a beautiful, more detailed version of the game on a bigger device like the iPad. The game has a nice little soundtrack but unfortunately it isn’t anything special. What I enjoyed the most about the game auditorally was Maya’s voice, though her voice actor never actually spoke, she did make cute sounds for when Maya is reacting to certain situations and it just added to the likability of the little bee. Though, in saying that the soundtrack wasn’t anything special, it did do a good job for the game that suited it very well. It wasn’t over-encompassing in any way, the tracks were quite light and made for quite a comforting vibe. even when fighting the bad guys you never truly felt like you were playing through some sort of hostile game so the music did what it was meant to do. Kids will love this game, the music is “tip-toey” (as I like to say), it gives off a nice vibe and it matches the entire game very well. Adult or child, you’ll find something you like about this game. Though clearly directed more towards children I wouldn’t advise for adults to pass this one up. 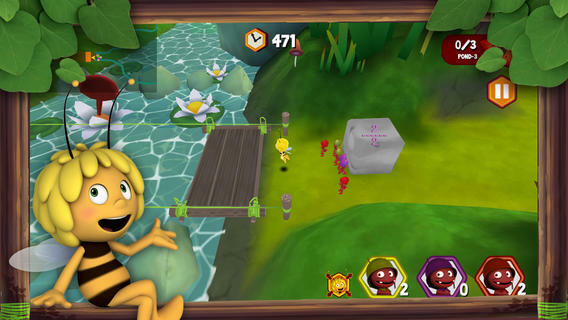 If you are a fan of games like “Pikmin” and are looking for, let’s say, a mobile version of the game then I’d recommend “Maya The Bee: The Ant’s Quest” to you because, essentially, it’s “Pikmin Lite” and it plays very well. While its price may be a little steep for the more casual mobile game players, if you love puzzle games and cute aesthetics than it is well worth the price. If you can look past the little things that aren’t entirely “up to scratch” you’ll enjoy this game through and through so maybe it’s the one for you.